In recent times, there have been instances when some running fans, and even the media, have given much focus on the origin of athletes rather than on their achievements. 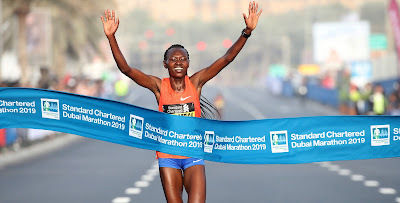 It has reached a time that when an athlete runs such an amazing time for a marathon, it won’t be worth celebrating if it was run by a runner from a certain origin, but will be treated as a phenomenal achievement if run by another from a different origin. Should a runner be awarded for crossing the finish line first, or for having been born in a certain region? Should runners have political boundaries, or should they see each other as an international community? Should runners from countries with other successful runners be disadvantaged in races to “level” the playing field? Is there a problem when runners with Kenyan, or Ethiopian, origin seek to represent other nations that they have already acquired new citizenships? There are some friends and even neighbors I personally know who already went out to represent other nations. But it has always been a win-win situation for their families and communities here in Kenya as well as for their new countries of citizenship. These runners have ended up earning a good living out of their talents, are now well-off financially able to educate their immediate families and have helped their communities in many positive ways. This ebook ponders about this topic in an elaborate way.